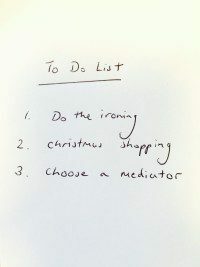 Who is on your Christmas e-card list and have you written your Santa list? A mediation and advocacy provider recently proclaimed that they now had over 2,100 profiles on their database and 164 advocates available to undertake court work. This got me thinking, we live in an age where we are bombarded with invitations to add ourselves to lists to get work, but how effective is this as a marketing tool? Businesses now make money from their lists, whether by charging to be in a professional directory or selling data to customers, and criminals are stealing people’s data for nefarious purposes. All businesses now have to encrypt or protect their customers’ data to prevent it falling into the wrong hands. A day never goes by without an invitation to pay to join a list or a scandal concerning data protection. Lists do have advantages for the customer as they drive down prices and increase speed and efficiency. However, there are concerns over reliability of data, such as fake reviews on Amazon/Trip Advisor, or potential dates lying about their age or marital status. People have to offer more to stand out from the crowd. From the service provider’s perspective it creates problems as it is necessary to decide which lists to join, or how to control those where one has no choice. 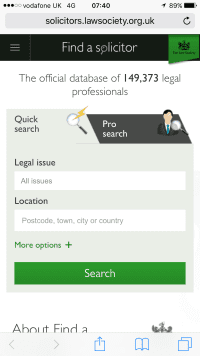 Examples of large lists of professionals would include the Bar Directory, the Law Society “find a solicitor” with over 149,000 solicitors and for whiplash experts there is the controversial “MedCo.” Now there is also “AccessSolicitor.com” and other sites for finding a professional. AccessSolicitor offers its members the opportunity to join ProMediate’s ADR scheme under the directive for as little as £1 per lawyer per month. 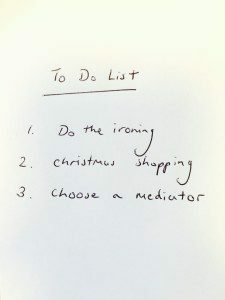 For mediators there is a large choice of providers with large lists of mediators and the Civil Mediation Council has a Register which is used by the MOJ. The more successful the provider the more mediators who rush to join the list. Now the EU portal will be launched in January 2016, effectively providing a list of suitable ADR entities to deal with a dispute across the EU. The complainant will log their complaint online in any EU language and the member state will then check which ADR provider the business names in their terms and conditions or check the area of dispute and match this with a provider. The government is also establishing a Small Business Commissioner who will “signpost” businesses to mediators and it is proposed that there will be some kind of advanced search facility developed to help find a mediator. No doubt mediators will have to pay to be on this list. What use though are lists to those listed on them seeking opportunities or self promotion, or the public? The larger the list, the less exclusive it is and the less value there is in belonging to it. Excessive choice can restrict choice and delay decision making. Unless the culture changes and people have to use a mediator or face penalties, there will be more mediators than work available to them. It is almost a badge of honour not to be listed, to be ex-directory, saving oneself for an exclusive list that helps one to stand out. The key to maintaining a large list must be to have an effective search facility and sufficient detail for each profile. Otherwise one is blinded by the numbers of profiles. For the service provider one has to do due diligence and find out what the readership and demographic profile of the list is. In our personal lives, people are increasingly using Internet dating to find a suitable partner, or review sites to choose a hotel. Apparently there is a new site where people will be rated, which will be interesting from a defamation perspective. The best sites are those that have a search facility to help the buyer find a match. People are increasingly using mobile devices to search as well, so an effective list has to be mobile friendly. We only have to look at the effect Uber has had on the traditional taxi or black cab. Uber offers a list of taxis but the difference is that they come to you and there is real time tracking. With mediation the traditional model of selection involves each party putting forward 3 mediators for the other party’s approval. A debate often ensues as to who is the best choice and emails fly around internally asking for people’s opinion or experience about particular individuals. People can be rejected if they are unknown. This tends to act as a restriction on competition as those who are already established are favoured over new entrants to the profession. At ProMediate we have not adopted the large list approach for higher value mediations. We restrict the number of mediators who join our main panel to those we have individually, personally vetted, rather than having an amorphous list of mediators. It is possible to speak to any of our mediators in advance to ensure that they will be appropriate for the dispute. 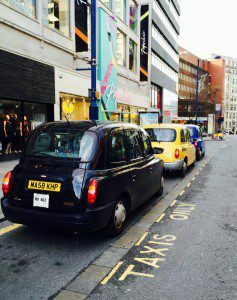 We cater for every sector and size of dispute. We put forward a mediator to both parties to consider for mediation appointments, to avoid each party obtaining their own list. We offer online and telephone mediations as an added extra and regular newsletters for business users. This should help people overwhelmed by large anonymous lists. To cap it all the government is now proposing to keep a list of all the websites we have visited over the last year so it can see what lists we have searched. It appears that we are heading towards a universal list whereby every citizen will be listed and rated for their personal qualities and expertise. Future generations will have no problems finding out what their ancestors did, every second of the day. You are listed when you are born and when you die and now at every point in between. The historian’s task will be to search the lists and select a pattern which tells a story. George Orwell would be proud.